Congratulations to Lou Ann Dietz on being selected as Primate Education Network’s (PEN) April Educator of the Month! Special thanks to Patricia Mie Matsuo for her nomination and blog submission. Lou Ann Dietz has over 40 years of pioneering conservation field experience in Brazil and other countries in Latin America. In 1983, she started a community-based environmental education program in Brazil – the first of its kind in the country! This program was an essential component of her conservation activities. Lou Ann coordinated a survey to identify people’s knowledge, attitudes, and behaviors regarding the golden lion tamarin in the municipalities of Rio de Janeiro State where this tiny and endangered primate is endemic. She discovered that only a few people could identify the golden lion tamarin in a picture and that they didn’t know that this primate’s declining status was connected with deforestation in the region. Those who could identify the tamarin valued it for its beauty and said that it made them happy when they saw it. These results indicated that the golden lion tamarin could be promoted as a flagship species for Atlantic Forest conservation. Lou Ann worked in partnership with Brazilian primatologists to understand the biology and ecology of the golden lion tamarin. The information provided during educational activities was always based on scientific data gathered from the field. Many activities were planned, tested, and implemented with different types of stakeholders to address the threats identified by golden lion tamarin researchers. After only two years of education efforts in the community, Lou Ann’s team documented significant increases in knowledge about the tamarin and the forest, as well as positive changes in attitudes and behaviors. Her education model inspired many conservation programs in Brazil. Lou Ann spent three years – from 1983 to 1985 – in Brazil dedicated to establishing the golden lion tamarin education program. She continues her involvement with the program as an advisor and mentor. She has trained and empowered over 100 Brazilian educators, including myself, to lead the program. I am honored that I had the chance to work with and learn from Lou Ann. 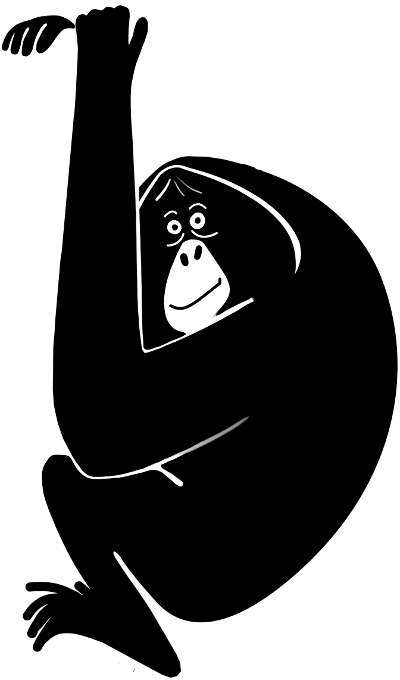 She taught me about how educational activities need to be carefully planned and connected with primate research, conservation, public policies, and an organization’s mission. 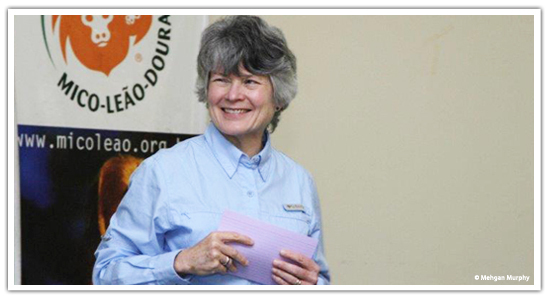 In her capacity as the President and Founding Director of Save the Golden Lion Tamarin and as a member of the Golden Lion Tamarin Association’s (Associação Mico-Leão-Dourado) Board of Directors, Lou Ann continues to train and empower primate educators in Brazil. She also serves as an elected member of the International Committee for Conservation and Management of Lion Tamarins, an official advisory group to the Brazilian government. This year, Lou Ann is celebrating her 30-year anniversary since implementing her first education action to protect golden lion tamarins in Brazil! Her efforts have been instrumental in contributing to the golden lion tamarin becoming a national symbol for conservation in Brazil. This blog post was written by Patricia Mie Matsuo, Board Director for Golden Lion Tamarin Association and a collaborator in their environmental education strategy actions for two endangered and endemic primates of Brazil, the muriqui and golden-headed lion tamarin. She also serves as Primate Education Network's Regional Coordinator for Brazil. Well deserved, Lou Ann! Great contribution to conservation and environmental education in Brazil!